The ongoing unrest right across the globe that started some two years ago with the Arab spring which sparked the Occupy movements in many western nations and most recently came to Turkey and this past week Brazil is a manifestation of what amounts to the worlds debt slaves waking up to the realisation of the truth that they do not have any real power to decide what happens to them in everyday life. 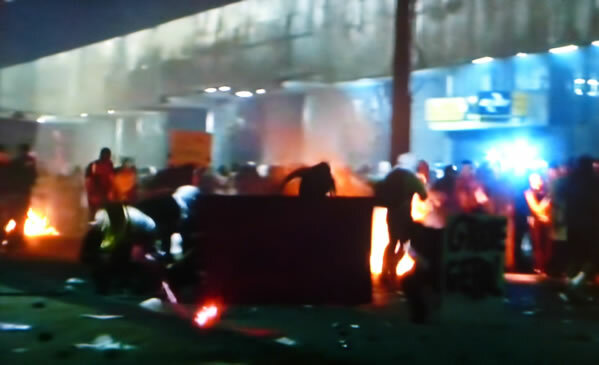 The Brazilian and Turkish demonstrators put forward a confusing array of differing reasons as to why they are protesting from the rising price of goods and services, lack of effective education and health services, and against the prevalence of corruption amongst politicians that purport to represent them. 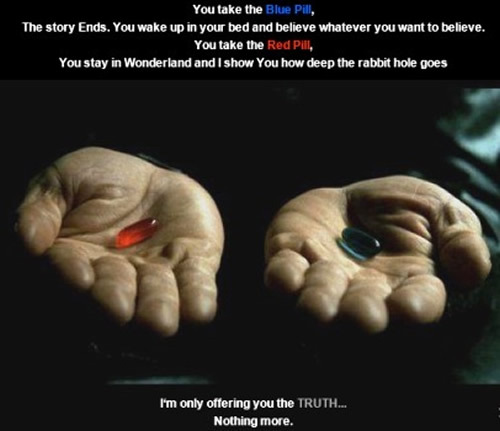 However the truth is that the people are seeking freedom from a state of perpetual slavery, as slavery of the masses has continuously existed since before the dawn of civilisation, where the few elite have always controlled the actions of the majority of over 90% towards their bidding and in their service. The realisation amongst many demonstrators is that Democracy is just another illusory mechanism to keep the slaves sedated into accepting their servile state of existence and in truth that there is nothing that the demonstrators will achieve as peoples of the Arab spring have discovered, that in the end nothing changes, virtually the same elite in countries such as Egypt still yield virtually all of the power. Why Over 90% of the People Will always be Slaves - The God Gene! To answer the question why the vast majority of people will always remain slaves to the prevailing elite one needs to look at the fundamental drivers for humans arriving at their current point in time, and that is as a consequence of evolution by means of natural selection i.e. society is ordered between a small elite and a mass of docile slaves as a consequence of evolution seeking to maximise the size and scope of the spread of humanity. All human societies organise themselves in terms of a ruling elite and a mass of slaves as the fundamental basis for which their are countless variations, for instance for much of humanities existence the right to rule over others was deemed to be divine, which even today the vast majority of people have an unquestionable belief that they are meant to suffer and be ruled over in this life for a better AFTER LIFE. The most extreme manifestation can be found in the Islamic extremist ideologies of Jihad and Martyrdom, though such extreme sacrifice lies at the heart of virtually all religions. The god gene is an evolutionary adaptation that allows the masses to be ruled by a minority elite, which is why it occurs in ALL societies. Up until this point the mass of humanity had nothing to counter the forceful influence of the God Gene on their daily existence, i.e. personal circumstance were always deemed to be as a consequence of fate and they were required to suffer in this life to be rewarded in the next life. However following Charles Darwin's publication of the Origins of Species the potential was for EVERYTHING to change, where overtime many people who took the time to educate themselves were actually able to turn their God genes off and therefore no longer be susceptible to genetic means of control as exerted over them by the elite into following evolved behaviour patterns in deference to the the elites demands. The past 50 years has seen huge leaps in sciences understanding of the mechanisms for evolution by means of natural selection most prominent of which is the discovery that the code for life is contained within the double helix structure of DNA by Watson and Crick in 1953, since which time a series of discoveries have sought to replicate the precise mechanisms by which cells use DNA code to engineer and maintain you, me and every other living thing on this planet, sparking a number of Life sciences from genetics, epigenetic's to molecular biology with many more emerging sciences such as Bio-chips, Bioinformatics that collectively fall under the banner of Biotechnology that has been the focus of my investing attention for several years as it promises to replicate the potential for profit of the 10 years in the run up to the internet dot.com bubble. DNA is the secret code of life that is being revealed, more so in that it firmly demonstrates that humans not only have common ancestors with the great apes by virtually sharing 97% of our genes with the likes of Chimpanzee's, but in fact are at a differing percentage basis related to ALL life on Earth, all animals, plants and even lowly bacteria can be found to have some of the same genes as humans and therefore a common ancestor, this goes against all religious doctrine that paints the picture of man having been created separately in Gods own image. 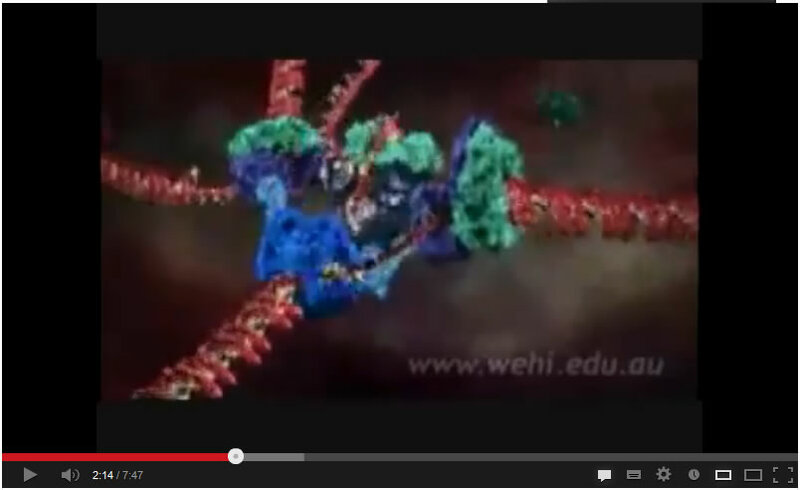 The following video best illustrates the mechanisms of the bio-chemical machines contained within every cell that both replicate the DNA molecule at time of cell division and that reads the genes (strands of DNA) to make an RNA copy that is then read by bio-chemical machines (ribosome's) to produce proteins from amino acids (polypeptide molecules) to instruct, construct and maintain the living organism as genes switch on and off during the life-span of an organism. Ultimately this means that humans evolved God by means of natural selection as a means of both coming together in social groups and in imagining states of existence outside of their immediate environment in an attempt to make manifest i.e. imagining that a planted seed will grow into a food crop to be harvested at a later date, or imagining what another individual is thinking or will do, the natural progression of which is to imagine how an all powerful deity interprets our actions towards yielding a place in an better afterlife in terms of reward or punishment and therefore we need to follow the path as laid down by God's represents on Earth so as to enter the 'Garden of Eden', which means God / religion are hard wired in our genes with the default position being for the switch to be turned on. Therefore the fundamental reason for why outbreaks for freedom are taking place around the world is because a greater percentage of the world's population than ever before are educated, and therefore the effect of their controlling God genes has been greatly diminished and in many cases even turned off. This is why in countries such as Turkey and Brazil where despite greater economic prosperity the People are demonstrating, because through educating themselves as a consequence of economic prosperity they are realising that they are just SLAVES to the elite, and that the trappings of democracy are nothing more than smoke and mirrors mechanisms for control by the elite. 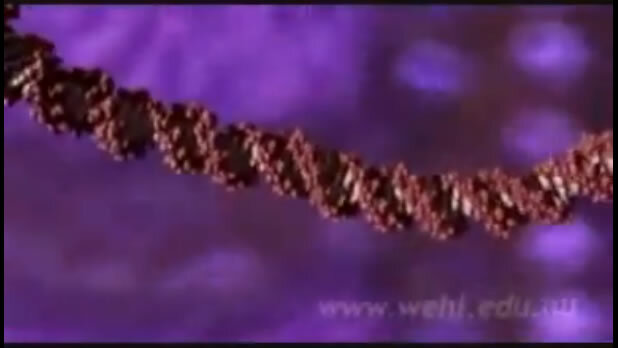 14 Mar 2013 - New Pope, Old Doctrine, Can the God Gene Survive Revelations of the Secret of Life? The vast majority of the populations in the west perceive themselves to be free, but in reality are just as much slaves to the elite as those that demonstrate on the streets of Turkey, Brazil and elsewhere, it's just that the mechanisms of slavery are different in the West, where here we are subject to state education that puts us on a conveyor belt of unquestioning servitude to the whims of the elite, controlled and governed through the illusion's of freedom from democracy, economic freedom which in reality is debt slavery, elitist mainstream media programming, taxation and the police and security forces and off course religion, all of which are mechanistic manifestations of the God Gene in action to control every aspect of ones behaviour whilst giving one the illusion of personal free will. The most recent example of the mechanisms for control were revelations of the the all prevailing surveillance that ALL individuals are subjected to as the world wide web truly amounts to a web spun by intelligence agencies to capture every aspect of ordinary peoples lives that they seem to share with one another regardless of the consequences to individuals for instance with dictatorships as was the case between documented dealings between MI5 and Gaddaffi and Mubarak's brutal secret police agencies resulting in torture and untold number of deaths. The response by the public representatives of the elite is to say that those who are innocent have nothing to fear from such surveillance. When the truth is that the apparatus of the state WILL use the mass of information gathered against any individual that it deems to be a threat in ANY way, that is anyone who campaigns or demonstrates against the interests of members of the elite as the breaking news of the parents of the murdered black teenager Steven Lawrence in the UK were subject to an organised Police smear campaign through means of covert surveillance and infiltration of the families campaign for justice for their murdered son. 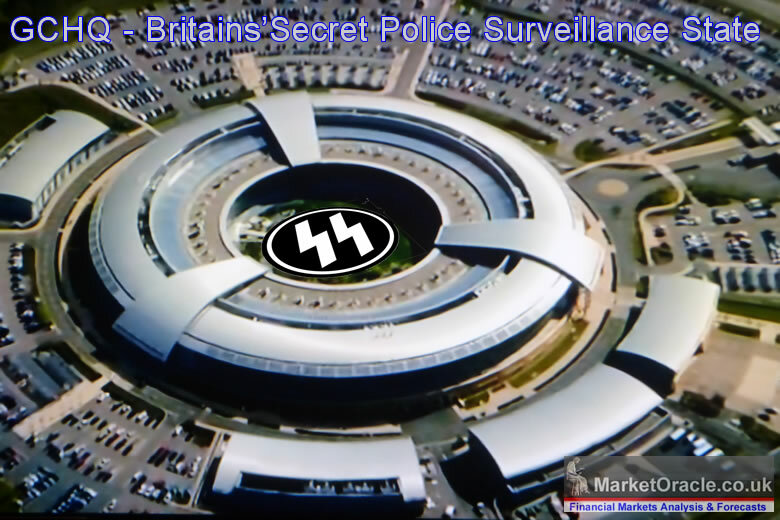 As ever Brit's are second class citizens as to the degree to which British people are under state surveillance courtesy not only of the rampant phone and internet surveillance but by far having the most CCTV cameras per capita that the US and Chinese secret police states can only dream of replicating. 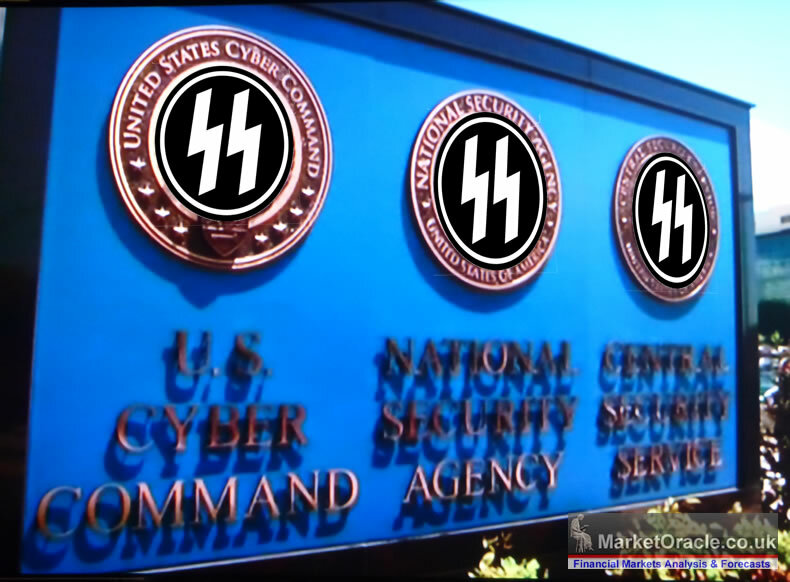 The truth as I have often warned of many times during the years is that the intelligence agencies are arms of the elite, and that politicians and democracies are merely fronts for the elite to control as most of the population are taught in state schools to become docile debt slaves in the service of their elite masters. 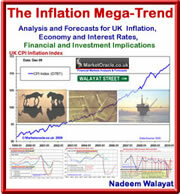 My articles have predominantly been focused at illuminating the consequences of and strategies for neutralising the consequences of the system for enslavement such as not partaking in the system of debt slavery and being fully aware of the inflation mega-trend consequences of policies aimed at funneling wealth to the elite, for instance Inflation is one of the primary triggering mechanisms for the demonstrations taking place in Brazil, Turkey, as the elite in these countries have been engaged in hyper theft of wealth by means of money printing real inflation rates of 10% per annum that act to impoverish the masses who's wages cannot keep pace with the rising cost of living that the wealth of the elite is leveraged to. Systemic theft of purchasing power by means of central bank money printing inflation is just as evident in the UK as in countries such as Brazil or Turkey as the following graph illustrates the UK's exponential inflation mega-trend even on the highly suspect official CPI inflation measure. The theft manifest itself in the mass of workers earnings after taxes unable to keep pace with price rises, and those with savings such as pensioners seeing the real terms value of their savings fall as they are in receipt of interest far below the real rates of inflation. Whilst the elite leverage themselves with borrowed money at sub inflation interest rates to asset markets such as stocks and housing that as we see with the tax payer bailouts of the bankster elite they are not wholly liable to in terms of losses that are subsequently ultimately dumped onto tax payers by means of numerous mechanisms such as bonuses, dividends, commissions, consultancies on the basis of fictitious inflated profits. For greater depth, a good starting point for readers would be to research 'fractional reserve banking'. Individuals can engineer their asset portfolios to be leveraged to inflation as money printing bubbles are repeatedly blown by central banks which is how the elite accumulate their wealth and through which they disenfranchise the mass of the population into owning nothing i.e. people with mortgages own nothing! All mortgage holders are just glorified renters, where if you stop paying the mortgage (rent) then you will be ejected from your home - See Stocks Stealth Bull Market 2013 and Beyond Ebook (FREE DOWNLOAD). As mentioned earlier, everything had the potential to change with the publication of Charles Darwin's Origins of Species, for it allowed a mechanism through which the God Gene and thus manipulation by the elite towards their agenda of control to be turned off, and this mechanism for turning off the God Gene is INDEPENDANT EDUCATION, not to confused with state schools, colleges and universities which are literally wholly focused in churning out docile debt slaves. For instance today's UK students will leave University with about £60,000 of debt that they will be subsequently focused on servicing for the next 25 years. If as an individual you have managed to successfully diminish or even turn your God gene off through education then you will not only be empowered to escape the multitude of mechanisms of elitist control such as religious doctrine, mainstream media programming, political ideologies, debt slavery, inflation erosion of wealth and purchasing power, but also start to in effect think as the vast majority of the elite actually think. After all it is highly probable that many of the Britain's Prime Ministers and U.S. Presidents despite their public propaganda were in actual fact atheists. It is highly probable that David Cameron and Barack Obama do not believe in much of what they spout for the benefit of the enslaved masses by virtue of the fact that they too are members of the ruling elite, and so goes for most of the worlds political and religious leaders, including the likes of the Pope. However, and with great regret it will just not be possible for most of the people reading this article to completely turn off their God gene and therefore I am afraid that most will continue to great extent remain indebted slaves to the elite as most of those demonstrating in Turkey and Brazil will succumb to the illusory tokens of freedom that are thrown in their direction by their ruling masters as to once more encourage the slaves into docile service of the elite. The bottom line is that if you want to become a member of the elite then you have to start THINKING like the elite. Which in investing terms means leveraging yourself to perpetual money printing exponential inflation, which in terms of today's markets means being exposed to the housing market. My in-depth analysis and concluding trend forecast of January (12 Jan 2013 - U.S. Housing Real Estate Market House Prices Trend Forecast 2013 to 2016), based on the latest data available at the time concluded in a detailed trend forecast for the US house prices to target a rise of 30% by early 2016 as illustrated by the original graph below, which followed a years warnings to prepare for the birth of new housing bull markets for the UK and US as I repeatedly iterated during 2012 as being the year of the embryonic bull markets that have morphed into bull markets proper for both countries. An updated graph for the case shiller US house prices index shows that the US housing market is trending in line with the forecast trend trajectory. My expectations as illustrated by my most recent analysis for the UK suggests that the housing bull markets could run for the rest of this decade before next popping, ( 03 Jun 2013 - UK Housing Bull Market Opportunities In Britain's Multiculturalism Immigration Crisis). Ensure you are subscribed to my always free newsletter to get my ongoing series of analysis on the housing markets.